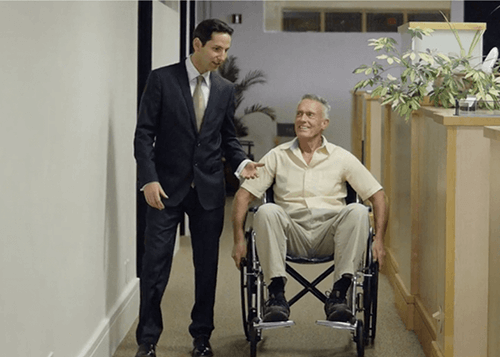 Medical Malpractice Lawyers Los Angeles | Bradley I. Kramer, M.D., Esq. We litigate and are prepared to take to trial large damage, complex claims worth hundreds of thousands, if not millions of dollars, rather than settle small questionable cases worth between $5,000 and $25,000. Our goal is to preserve justice over profit, recovery over retaliation, and for that reason, we work tirelessly to filter out frivolous lawsuits before we invoke the legal process. 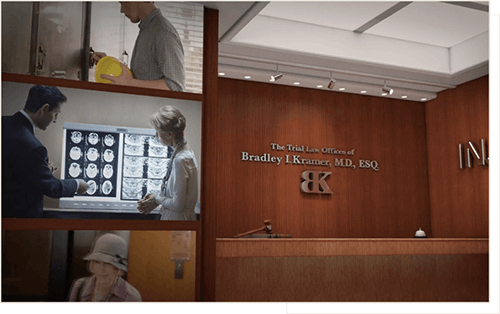 The Trial Law Offices of Bradley I. Kramer, M.D., Esq. is a preeminent plaintiffs’ trial law firm representing individuals and businesses in California and across the United States. Our medical malpractice lawyers are ferocious competitors with a one-and-only-one goal in mind: to maximize the emotional and financial recovery for those who have incurred damages from another’s fault, be it personally or through their business. We specialize in cases involving medical malpractice, breach of contract, catastrophic personal injury and business fraud, and we will legally bludgeon our opponents to make sure that every one of our clients’ claims is properly vindicated to the fullest extent of the law. Since 2004, our principal, doctor/lawyer Bradley I. Kramer, M.D., Esq. has proven repeatedly, both inside and outside the courtroom, that he has the intellect and dedication to make insurance companies to pay more than they ever want to pay to his clients for their injuries. 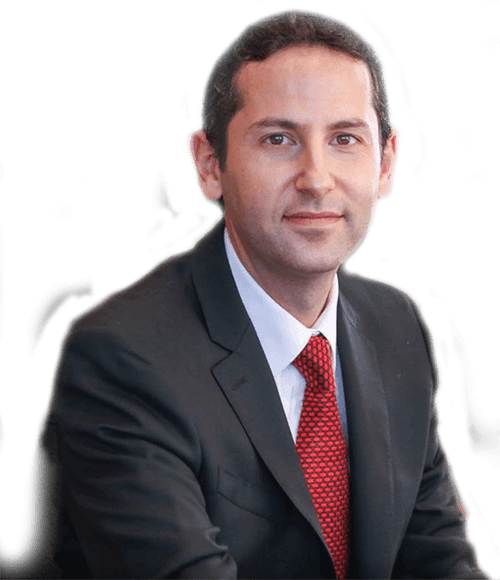 Dr. Kramer is one of only a handful of lawyer-doctors in the entire United States who fight on behalf of injured victims, and one of less than 10 in the State of California. Dr. Kramer’s knowledge of both law and medicine, coupled with his experience both inside and outside the courtroom ensures that you will get the maximum allowable compensation for your injuries. Since 2004, Dr. Kramer has been a zealous advocate for his clients, which has allowed him to recover millions of dollars for his clients as well as recognition by his peers. When you choose a medical malpractice lawyer, you need someone with not only the knowledge and experience to win your case, but also a proven track record of success. Dr. Kramer has recovered over $100 million for his clients and has tried countless cases to juries. He has been awarded many of his industry’s top awards as a result of his achievements. He will fight tirelessly to get you the justice you deserve in your medical malpractice case. Bradley I. Kramer, M.D., ESQ. Since 2004, medical malpractice attorney Bradley I. Kramer, M.D., Esq. has strictly practiced litigation with a principal focus on business fraud, breach of contract, entertainment, and cases involving medical- or science-based claims, including those dealing with pharmaceuticals, medical devices, catastrophic personal injury, and medical malpractice. Life-altering personal injury and wrongful death cases are devastating, but those affected don’t need to suffer through the fallout alone. Bradley I. Kramer successfully navigates the legal system for you, ensuring that responsible parties are held accountable and obtaining the maximum compensation for you. It is hard to see an end to suffering when you’re the victim of medical malpractice or serious injury. To those involved, it can feel like there is no justice or fairness in this world. You often feel powerless when it’s you versus a large business or insurance company. You need someone on your side to help defend what you truly deserve. Don’t let large businesses or insurance companies define the outcome of your health and livelihood. Dr. Kramer approaches his clients with personable, caring confidence backed up by both extensive medical and legal knowledge. 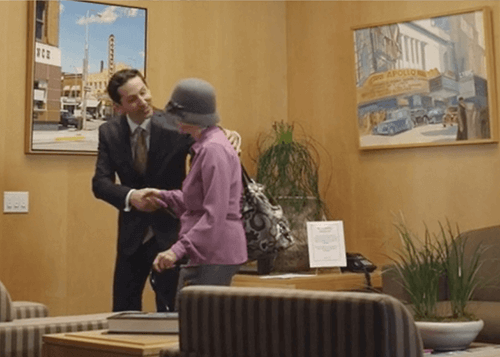 While the world won’t always be fair, the medical malpractice lawyers at the Trial Law Offices of Bradley I. Kramer’s case-winning and settlement history proves your voice deserves proper financial and emotional compensation.